File contains two copies of a photograph of the former location of Halifax's Africville neighborhood. 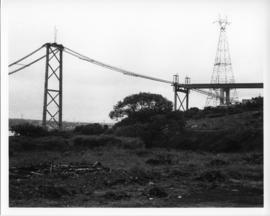 The photograph shows an empty lot and the partially completed MacKay Bridge. 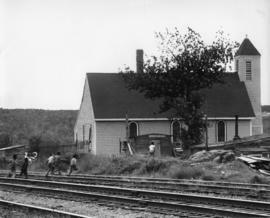 Item is a photograph of the Seaview African Baptist Church in Halifax's Africville neighborhood. 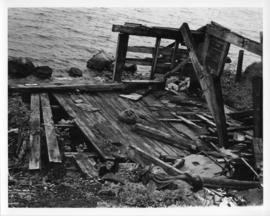 Item is a photograph taken on the former location of Halifax's Africville neighborhood. 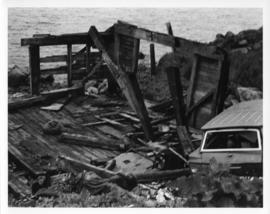 The photograph shows the ruins of a demolished building and an abandoned car. 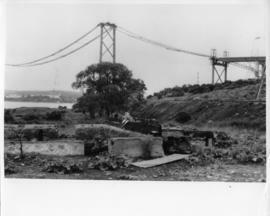 Item is a photograph taken on the former location of Halifax's Africville neighborhood. The photograph shows the ruins of a demolished building. Item is a photograph taken on the former location of Halifax's Africville neighborhood. 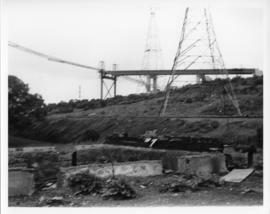 The photograph shows train tracks and the partially completed MacKay Bridge on-ramp. File contains photographs of children picking blueberries in a field near Halifax's Africville neighborhood. 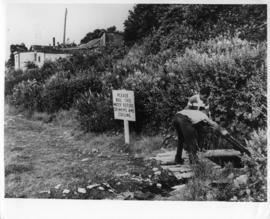 File contains photographs of children playing outside near homes in Halifax's Africville neighborhood. The photographs were used in Donald Clairmont's "Africville Relocation Report" ("Africville Homes" pg. 3-26). File contains photographs of a demolished building and a boarded-up house in Halifax's Africville neighborhood. 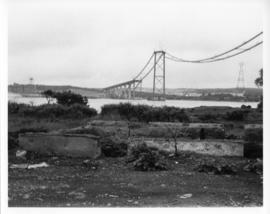 File contains photographs of the former location of Halifax's Africville neighborhood, including the partially completed MacKay Bridge. 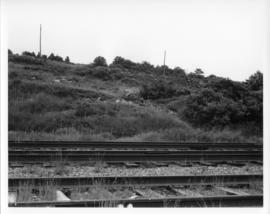 File contains photographs of the train tracks running Halifax's Africville neighborhood. 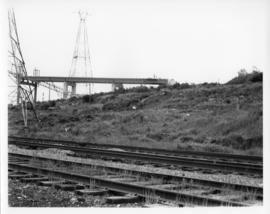 The photographs were used in Donald Clairmont's "Africville Relocation Report" ("Trains and Africville" pg. 5-6a). 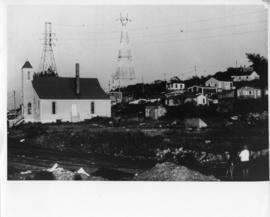 File contains photographs of wells in Halifax's Africville neighborhood. 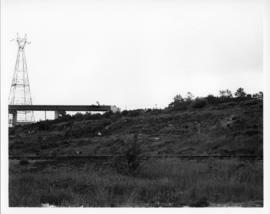 The photographs were used in Donald Clairmont's "Africville Relocation Report" ("The Wells" pg. 3-24).